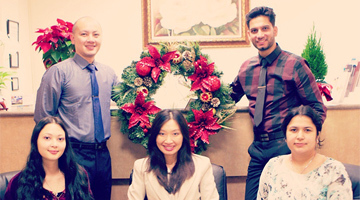 Please take a moment to view how Dr. Ashley Huong Ho can transform your smile. Welcome To Our Hercules Dental Practice! Welcome to the dental home of Dr. Ashley Ho. Our Hercules dentist is committed to helping you achieve the healthy smile you’ve always wanted. Patients who have come to know Dr. Ho, understand that she can be relied upon to produce excellent outcomes, providing results that consistently exceed expectations and because of this, her patients continue to return and refer their friends to our practice. For adults who want to improve their smiles, we offer several options including teeth whitening and veneers. Our Hercules dental practice also provides restorative dentistry and deliver only top quality crowns, bridges, and dentures. We also place and restore dental implants and Dr. Ho is meticulous in her attention to detail when developing your treatment plan as well as while performing the procedure. From preserving dental health and treating gum disease, to making cosmetic improvements and helping her orthodontic patients achieve straighter teeth, our dedicated dentist is here to improve both your dental health and the appearance of your smile. The key to our success is the care and attention that Dr. Ho offers each of her patients. She listens carefully to your concerns and works closely with you to plan your treatments according to your particular preferences. If you are interested in having a healthier, more beautiful smile, call our Hercules dentist, Dr. Ho today! My Dentist offers you several amenities to make your visit the most comfortable dental visit possible. Please visit our Comfort Menu and let us know if you would like any of our comfort amenities, or if there is anything else we can provide you while in our office. Learn more here. With cosmetic and implant dentistry, we can create a positive change to your teeth and your smile through various modern advancements. Learn more here. Orthodontics is specifically concerned with diagnosing and treating tooth misalignment and irregularity in the jaw area. Initially, orthodontic treatments were geared toward the treatment of teens and pre-teens, but these days around 30 percent of orthodontic patients are adults. Learn more here. 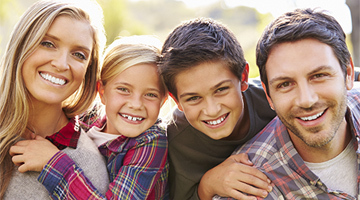 My Dentist provides our patients with one single tooth restoration, or full mouth restoration to brighten your smile. 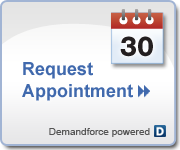 We're here to help you find the solution to all your dental needs. Please click here to learn more. Most PPO insurance plans accepted including Delta Dental, MetLife, Aetna and more. We also have flexible hours. We are open evenings and Saturdays. Click here to view hours. We offer multiple payment plans options. CareCredit, Landing Club and in office financing. Click here to learn more. As a person who has had a bad experience in the past with dentist I can say that Dr. Ho is an excellent dentist that handles her patients with "kid gloves". She is a caring person, plus a very "smart" dentist. If you have children in need of dentist or if you are a adult in need of dentist that will make your experience a good one, please give Dr. Ho a try. Thank you. My experience with Dr. Ho and everyone at the office has been a pleasant experience (if needing to go to the dentist can be considered pleasant). Everyone is friendly and Dr. Ho is very considerate as she is working in my mouth. She makes sure I'm OK all during the procedure. This makes alot of difference when you are having work done that can be uncomfortable. I don't even cringe when I get novacaine. Other doctor's in my past have made it hurt. I would recommend Dr. Ho and her office staff to anyone I know. Thanks to all of you!! I absolutely love my dentist! She is very knowledgable and thorough with all her work, she makes it known that every patient of hers is under good care. After my first visit for a routine cleaning I received a call from her staff and her personally to see how I was doing. After a couple of days I received a hand written thank you card from Dr. Ho! For a busy dentist like herself to take time out of her day to write a thank you card for her patients says a lot now a days! Her staff is always friendly and helpful, most importantly I trust their honest good work on my teeth and over all health!! !